One person was admitted to hospital and several buildings were damaged. 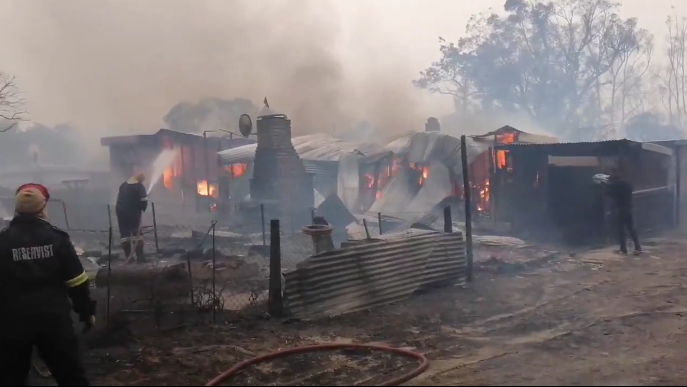 FRANSKRAAL – Fires in the Western Cape town of Franskraal continue to burn on Saturday morning. Heavy rain overnight helped firefighters contain blazes in other parts of the Overberg. Betty’s Bay, Karwyders-kraal and Franskraal were evacuated on Friday. Power in the region went out. Authorities are appealing for blanket donations in Betty’s Bay.